The conservative mantra in the United States is that liberals love big government. Another way of putting this would be simply to say that American liberals think that government might be able to supply adequate responses to the needs of the nation’s population; say, for example, educating children, caring for the sick, feeding the poor, protecting the environment, etc. As of late many American liberals have even abandoned these rather minimal goals and think instead that the role of big government is to give tax revenue to corporations to provide for the basic necessities of life – e.g. Obamacare and charter schools. American conservatives on the other hand hold dear to ortho-liberal theories of a minimal state as the best kind. Instead of tax revenue being handed over to corporations to fulfill the basic functions of the state they are in favour of eliminating tax revenue all together and finding free market solutions to meeting the needs of the population. Precisely how that is meant to work remains up in the air. This can all get very confusing on the other side of the Atlantic, where the American liberals don’t really seem like the liberals we know and American conservatives seem nothing like conservatives, instead espousing a form of radical ultra-ortho-liberalism in all matters apart from the security apparatus of the state. To add to the confusion, the radically liberal conservatives in the US are fond of calling liberals, communists, or at least socialists. Nonetheless, the American view of things can be helpful in understanding what seems to be a problem in the way that European Social Democrats (I am using this term rather loosely in referring to what are now the mainstream ‘centre left’ parties in Europe) relate to the debate over the proper role and function of the European Union, and whether the institutions of the EU are properly fulfilling their political mandate. I use the term mandate here in what I would call a properly political sense, i.e. I’m talking about what the EU is for not whether a particular institution is properly acting according to its institutional competency. Put very bluntly, European Social Democrats, or what’s left of them (no pun intended), and here I include, perhaps rather rashly, the UK Labour Party generally retain the idea that big government can do good things vis-à-vis the well-being of citizens or residents of a particular polity. It follows from this that bigger challenges to ensuring the well-being of the citizenry require bigger or broader responses and hence bigger government. This is an idea that I think Social Democrats have, broadly speaking, traditionally shared with Christian Democrats, but not with the liberals or ortho-liberals who currently claim the mantle of conservatives within the European scene. There’s good reason for Social and Christian Democrats to adhere to this idea. The accomplishments in raising and ensuring the standards of living in Western Europe in the latter half of the Twentieth Century have by in large been linked to massive government expenditure programmes funded by high levels of taxation. I am thinking here of universal free or nearly free primary, secondary, and tertiary education, universal health care, the elimination of extreme poverty and hunger, government funded pensions, improvement in labour conditions and the guarantee of leisure time. The list goes unapologetically on. The European Union despite having many liberal (in the classical sense) ideas enshrined into its founding documents has nonetheless played a role in many of the European social accomplishments of the twentieth century. Not least, it has succeeded in its initial mission of intertwining the economies of the major continental powers to such a degree that war between France and Germany does indeed seem near impossible. This, alongside massive investment from the USA to prevent the further incursion of Socialism into Western Europe, was one of the major factors making possible the immense social achievement of Western Europe of the second half of the Twentieth Century. And so to put it very simply, the current centre-left, which is the descendent of traditional Social Democratic parties in Europe is loath to turn critical of the one set of institutions (the EU) that they think is in fact capable of enacting and protecting human development on a scale adequate to the challenge posed by a new era of global capital. 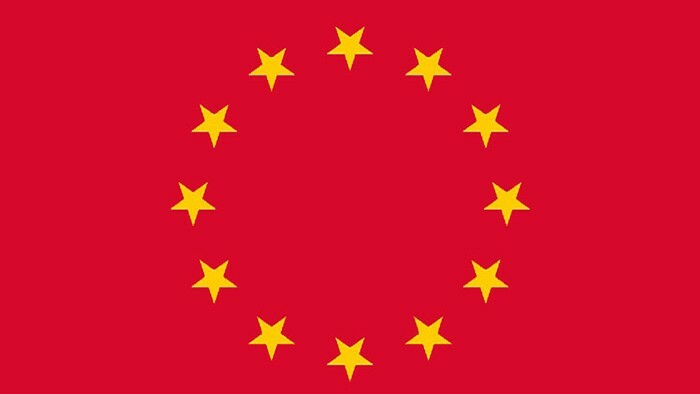 The real left in Europe don’t have this problem because while they may in fact agree with the Social Democrats about the need for large scale institutions, having descended from the various communist parties of Europe, they always took the EU to be an instrument of liberal capitalism – which in large part it is. This leaves the centre-left in a serious quandary. An EU controlled by national states (via the European Council) controlled by the centre-right liberals in fact seeks actively to do just the opposite of the centre-left hope, i.e. it seeks to open up Europe to capital, placing the well-being of its citizens in a distant second in terms of priority – or so the criticism goes. This leaves the left wrong footed, calling for a more pro-active and interventionist ECB, for example, while the ECB is at the same time colluding with the European Commission and IMF to make Greek bailout loans conditional upon cutting health care provision for the unemployed. This makes centre-left Europe policy easy pickings from both the anti EU right and left? What’s a Social Democrat to do? The choices are not great. One obvious solution is to push for the European Parliament to starting wielding real power; current polling shows the left-block in the EP neck and neck with the conservatives in the run up to the May 2104 elections. More importantly however might be to step back from the technocratic morass of EU politics and state openly that if the current institutions are not doing what Social Democrats think that the EU is for, then they will have to imagine new institutions that do. The Greek philosopher Stathis Kouvelakis puts it very well when he writes in a volume entitled En finir avec l’Europe (Finishing with Europe), ‘any political project that takes the objective of a rupture with neo-liberalism seriously, even from a perspective that is globally “reformist” or “gradualist” must pose the question of a break up of the Euro, and from this accept the possibility of fighting against the EU itself.’ This may hold true for even the most ardent big-government, pro-European social democrats. Darian Meacham is assistant professor of philosophy at Maastricht University, Maastricht, Netherlands, and Deputy Director for Responsible Research and Innovation at BrisSynBio (a UK Research Council Funded Synthetic Biology Research Centre). He has published several articles and book chapters on human enhancement, and is currently interested in the social and political impact of automation technologies.